Copper Center, AK: Small amounts of rain have kept fire acreage unchanged at 19,719 acres. 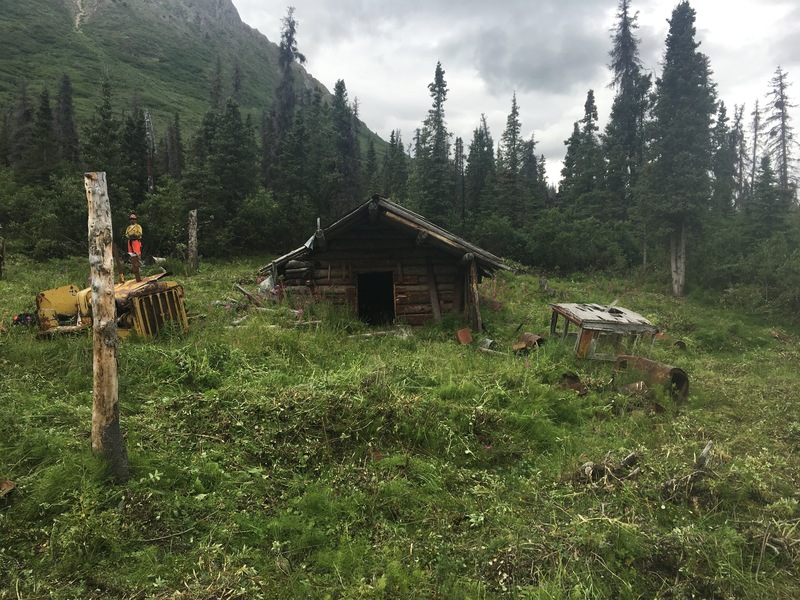 On Thursday, July 28th, fire managers landed at the historic Monohan Cabin to cut brush and fuels to reach a “Firewise” standard. The “Firewise” program encourages steps to prepare ahead of a wildland fire and reduce the amount of fuel that could carry a fire. By reducing the amount of fuel or vegetation and adhering to this standard, we hope to minimize risk to firefighters, increase defensibility of a structure, and decrease response time needed to respond in case the fire reaches the cabin. The success of this prescription still relies on the use of sprinkler systems using the expertise and placement of firefighters if threatened by the fire.